Priceless artifacts now in danger of being destroyed by Islamic State fanatics, who score second major victory in less than a week. Jihadists from the Islamic State group (IS or ISIS) seized full control of the ancient Syrian city of Palmyra on Thursday, a monitor said, putting the world heritage site at risk of destruction. The Syrian Observatory for Human Rights told AFP that regime troops had pulled back from positions in and around Palmyra, including from an army intelligence outpost, a military airport and a prison which the jihadists captured overnight. The Observatory said ISIS now controlled half of all territory in war-torn Syria. "IS fighters are in all parts of Tadmur, including near the archaeological site," Observatory head Rami Abdel Rahman told AFP, using the Arabic name for the city. Mohammad Hassan al-Homsi, an activist from Palmyra said: "Regime troops collapsed and withdrew from their positions without resistance." The capture of the ancient city, which houses colonnaded streets and ruined temples that date back thousands of years, has raised fears that its treasures could be plundered like archaeological sites overrun by the jihadists in Iraq. Palmyra is also strategically located at the crossroads of key highways leading west to Damascus and Homs, and east to Iraq. 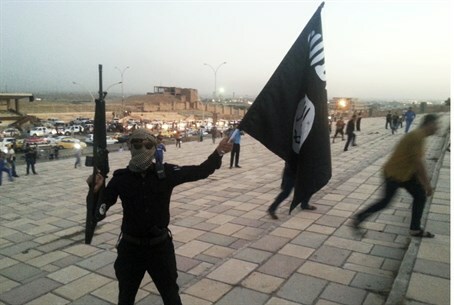 Since ISIS launched its assault on the city on May 13, at least 462 people have been killed in fighting, the Observatory said, including 71 civilians, some of whom were executed by the jihadists. The Islamist group has embarked on a campaign of destruction aimed at purging territory under its control of any artifacts deemed "idolatrous" by its puritanical interpretations of Islamic law - include priceless ancient relics. ISIS extremists sparked international outrage earlier this year in Iraq when they blew up the ancient Assyrian city of Nimrud and smashed artifacts in the Mosul museum. ISIS's latest victory comes less than a week after it seized the provincial capital of Iraq's Anbar Province, Ramadi, from government forces. The jihadist group's gains - its largest since last summer's offensive which saw it capture large swathes of territory in Iraq, including the second city of Mosul - come despite a massive aerial campaign led by the US and a ground effort led by Iranian-backed militias. The gains have forced a policy rethink by US security experts, particularly after the Iraqi army once again performed poorly in Anbar despite massive American investment.